Welcome back golfers! Ladies and Gentlemen, the holiday season is fast approaching. Let us take a moment and explore a golf-gift idea, shall we! 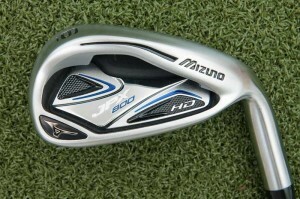 This issue, for example, I have found quite the deal in Mizuno Irons, specifically the JPX800 HD Irons. “The secret is in the dirt”. Most golfers recognize this famous Ben Hogan quote. Of course, Mr. Hogan did in fact have a closely guarded secret, one which I will reveal in a future column; feel free to contact me directly for details. When it comes to golf equipment, may I suggest that Mizuno Golf also has a secret? A secret weapon, that is, in the JPX800 HD Iron. The entire line of Mizuno products can be found at the Sport Station and Golf House stores throughout Jakarta. May I suggest the new Lippo Mall location in Kemang – the Sports Station there has the JPX800 HD Irons on sale, just in time for the holiday gift buying season. Plus, if you haven’t experienced this new shopping mall in Kemang, here’s your excuse. Until next time, hit ‘em straight!